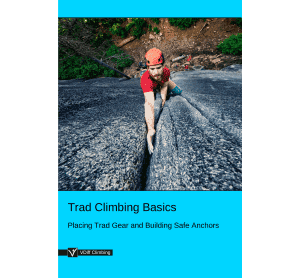 This 'Trad Anchor' article is part of the e-book - Trad Climbing Basics. You'll need to attach yourself to the anchor in a way that you can see your partner as they follow the pitch and brace yourself if they fall. 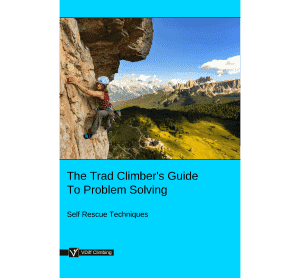 However, you'll often need to extend your trad anchor to get into the optimal belay position. There are many ways to do this, each with their own advantages and limitations. With practise, you should develop the ability to adapt and combine these methods to suit every belay situation. Some of the most common methods are described below. Clip your belay loop into the central point directly with a screwgate carabiner. If extending the anchor with the rope would put you in a bad position to belay. Tie your rope to the central point using a clovehitch. Then fine-tune your belay position by adjusting the clovehitch; just shuffle rope through and pull it tight. The rope between you and the central point will need to be fairly tight. 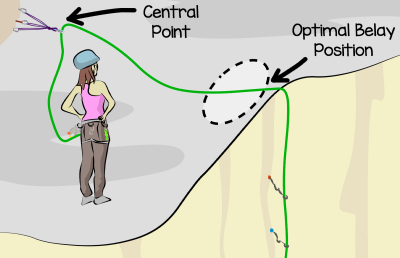 If the central point is within reasonable reach of your belay position (up to 2 meters or so). Clip the rope through the screwgate on the central point, then walk to your belay position. Attach a screwgate to your rope loop and then clovehitch the rope to it. - You can fine-tune your belay position without moving back to the anchor. If the central point is out of reach from your belay position. Attach the rope to the nearest anchor point with a clovehitch. Then clovehitch the rope to the other anchor point, leaving a little slack between the two. Next, clovehitch the rope to your rope loop with another screwgate. 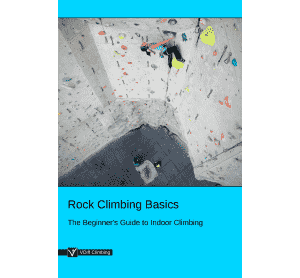 - Must be close to the first anchor point in order to fine-tune your belay position. 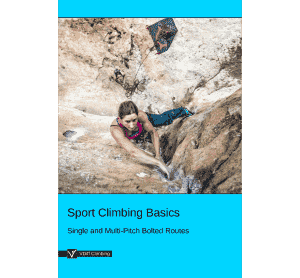 - The central point is created at your belay loop. 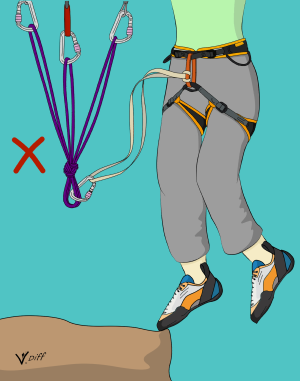 This means that you must belay directly from your harness (you can't use guide mode). If you have two anchor points which are too far apart to equalize with a sling/cordelette. Clip the rope through the furthest away point, then walk to your belay position. Attach a screwgate to your rope loop and then clovehitch the rope to it, just the same as method 3. Repeat this step with the second point. Tie your rope to the third point using a clovehitch, as described in method 2. You can fine-tune the clovehitches to equalize the three points. This is a good method if you arrive at a belay with no slings or cordelette. - You can use this method to equalize as many points as you need. Just keep repeating step 1 until you've equalized all your pieces. - Uses up a lot of rope. - You must belay directly from your harness. If you arrive at a belay with no slings or cordelette. Walking around a large tree and clipping the rope back to your rope loop is a quick way to make an anchor with only one screwgate carabiner. The clovehitch or figure-8 on a bight are good knots to use. It is only suitable to do this with very large trees. Watch out for tree sap. When climbing with half ropes, you can use any of the previously described methods with either one or both ropes. Slings are designed to be used with a dynamic rope in the system to lessen the impact on them. It's only safe to attach yourself to an anchor with a sling if you won't be moving above it (such as when setting up an abseil). If you fall when above an anchor (even if you are only a foot above), unusually large forces will be generated. You can damage internal organs with just a 10kN force - falling onto a sling directly is likely to be much higher than this. It could also break the sling, or the anchor. If there is any chance that you will move sideways or above the anchor, make sure to attach to it with the rope. 10) All the screwgates are fastened up. Once you can answer 'yes' to all of these, you can tell your partner that you are 'safe' or 'off belay'.